located in Switzerland, to enable faster processing with in and outgoing Wire Transfers. New Accounts, the Transfer Section has been updated with new Account Numbers and Banks for the Currencies. future transfers through the old channels will be automatically returned to you directly by the bank. please make sure you update your bookmarks. if you do have any questions regarding this change, just reply to this email (support@enfoid.com) we are more than happy to help you out. withdraw the IB partnering with SwingFish and EnFoid. Starting Week 47 you can add your TradersWay Trading account to be eligible for Rebates with EnFoid Lenders. TradersWay is an ECN Broker that offers the cTrader Platform, mt4, and mt5. you can now just add TradersWay accounts to your Lender Account to get commissions Back. 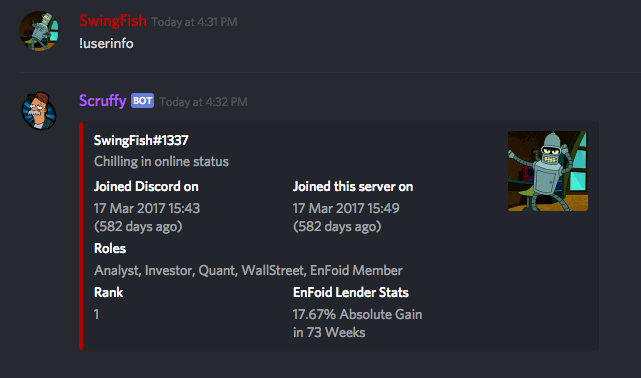 now you can link your SwingFish Discord account with EnFoid Lenders. using the latest OAuth2 technology to keep the data safe. if you have the same email in discord and EnFoid Lenders all you need to do is click the “Log in with Discord” button. Enfoid, in cooperation with Transferwise, now offers Local Banking in the United Kingdom (UK) to send or receive Funds in Pound sterling directly to your Lenders Account. starting today, the Transfer Section in EnFoid Lenders will have a GBP Tab with Detailed Account Information ready to use Immediately. after running for almost 3 Years with an Initial Deposit of just 1000$ we decided to cancel this strategy in the SwingFish Portfolio. how does Interest on Free Money sounds to you? 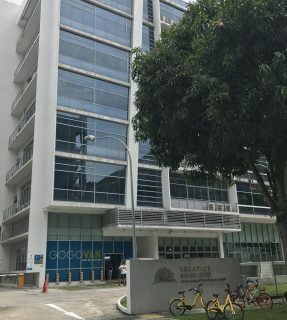 EnFoid just made exactly that a reality! As a result of that, there will be no Asia Session Live Trading. This weekend, EnFoid will move the majority of our Trading and Web Servers, to DigitalOcean and Amazon. Private Lenders Accounts can now Withdraw and Deposit US Dollars directly to a US Bank. please note that there are some restrictions.